The clinic was opened on 2nd February 2009 at the foot of Mt. 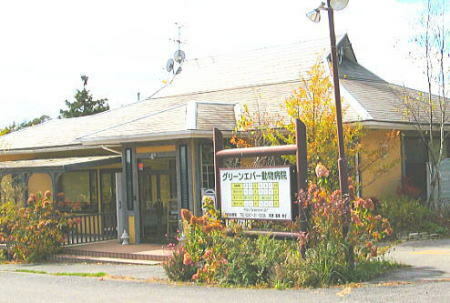 Asama in the rich natural environment of Karuizawa. 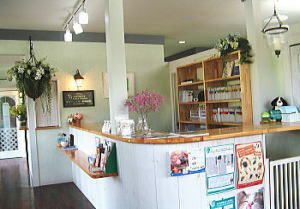 We aim to deliver a “one-of-a-kind treatment” by offering optimized treatments for each animal. We ensure a thorough consultation process, and deliver treatment with utmost gentleness and care. Poweraid can be used by simply sprinkling onto the affected area. The synergistic effect of the two agents enables Powderaid® to be effective in the process of wound healing. 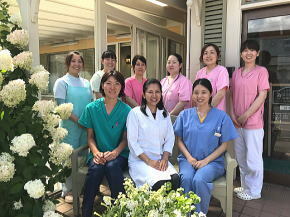 All members of staff including veterinarians are women, who work as a team to give your pet the best medical treatment so that you and your pet will be able to live a happy and healthy life together. Powderaid®, a new wound-healing agent discovered by Dr. Sonoo, has been introduced to daily practice at the clinic. Powderaid® can be applied in different treatments, for example, as a wound-healing medicine or a filler after tooth extraction..
At our clinic, we carry out the “Vaccine Check”, a dog vaccine antibody titer test using an antibody detection kit, allowing us to provide vaccinations based on the condition of the immune system. Liver-stimulating vitamins are added to our drips to support recovery. Coenzymes are vital for animals as they help regeneration of damaged body cells, and we aim to enhance their healing ability by providing these vitamins. Does your pet have bad breath? Breath odor can be due to bacteria in the oral cavity, which in turn may cause organ diseases when they penetrate into the body. We have introduced a patented powder agent to remove dental tartar without the use of anesthesia. 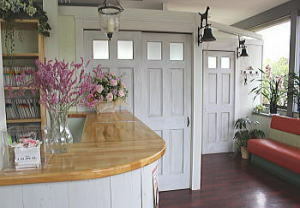 The interior of the clinic has a white-based color scheme with generous use of natural wood and green plants, giving a warm atmosphere in which owners and their pets can relax and feel at ease. Copyright (C) 2019 Greenever Animal Hospital. All Rights Reserved.